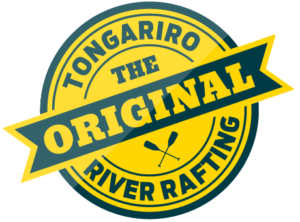 We’re often asked by our visitors for our recommendations on what else they can do in Taupo and Turangi after they’ve been rafting. We are super fortunate to live in such Taupo Tandem Skydiving an amazing region that is blessed with not only an incredible array of natural beauty but also some pretty awesome tourism activities too. Most of us love adventure (that’s why we love rafting), so the adventure activities tend to rate pretty highly on our list. After all, you’re on holidays so you may as well try something new right? Skydiving: Yep, you can throw yourself out of a plane from up to 15,000ft (that’s high!) with our friends at Taupo Tandem Skydiving. On a clear day, you can see coast to coast and it’s probably the best perspective you’ll get of just how big Great Lake Taupo is. It is tandem skydiving so you will have a jumpmaster strapped to your back pulling all the right strings to ensure you land back on the ground safely. These guys are highly professional, have been doing this for years and like us, they LOVE what they do. Taupo Bungy: This crazy adventure was pioneered here in New Zealand and Taupo Bungy has the highest water touch in the country – but you don’t have to touch the water if you don’t want to. The setting over the Waikato River is stunning, it’s worth a drive down just to watch if you’re feeling a bit scared, but we reckon once you’ve seen a few people have a go, you’ll be lining up yourself. There was once a myth that international visitors weren’t allowed to leave New Zealand until they had a bungy stamp in their passport – it’s just what we do in NZ! 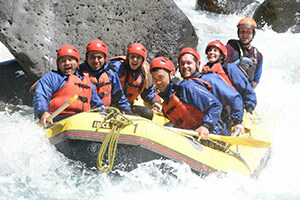 Hukafalls JetJet Boating: Another amazing NZ invention. These boats were designed to travel in just 10cms of water, and you can find them operating on most of the major rivers around the country. Hukafalls Jet is the only one that takes you to the base of Huka Falls – which is NZ’s most visited natural attraction, so we think that’s pretty cool. When you’re at the base of the falls, you sit in the bubbles and feel the force of the 300,000 cubic litres of water per second pour over the drop. You’ll do up to 14 (!!) 360 degree spins along the way and your jet boat pilot is bound to have a few stories to tell you.